We Are Here to Help You Heal. Over 20,000 People, Saved From Addiction. The Lighthouse provides you and your loved ones the opportunity to heal, grow, and feel whole again. Most people come to us with tremendous fear, emotional pain, traumas, and feelings of hopelessness. Every one of our clients receives a real opportunity to start a new life, and reinvent who they choose to be. You can have the same opportunity that has saved over 20,000 people at the Lighthouse Treatment Center. 24/7 Treatment Staff Provides safety, medication support, client coverage. Psychiatrist Evaluation Medical evaluation within 24hrs to prescribe appropriate detox medication. Medication Detox Doctor prescribed "comfort medication" keeping you safe through detox & withdrawal period. Substances We Treat Alcohol, Heroin, Opiates, Meth, Cocaine, Benzos, Sedatives, Halucinogens, Dissociatives, others. Sub-acute Facility Comfortable transition to clean living, free from hospitals. Social Model Detox Residential "medically assisted" detoxification with staffed nurses and therapuetic involvement. Suboxone Clinician administered taper keeping you comfortable during the medically-assisted detox process. Naltrexone Optional medical intervention post detoxification. Evidence-Based Treatment Zero-Theory. 100% Proven, data-driven treatment modalities that work. Detoxification (PHP) 24/7 clinical staff to monitor vitals and administer medications for total comfort during detox. Residential Intensive Treatment (RTC) Sub-acute facility providing intensive treatment for severe addiction, alcoholism, and co-occuring psychiatric disorders. Dialectical Behavior Therapy (DBT) Distress tolerance, emotional well-being, mindfulness, and interpersonal effectiveness. REBT Behavior Therapy Replace destructive thoughts/beliefs with healthier, adaptive thoughts. Incites emotional well-being and goal achievement. EMDR Trauma Treatment Treats PTSD and trauma with dual stimulation exercises to promote emotional stability and symptom reduction. Seeking Safety (Trauma Program) Helps clients attain safety in thought, emotion, behavior, and relationships to counteract loss of ideals. Dual Diagnosis Simultaneously treating addiction and co-occuring psychiatric disorders. 12-Step Model Introduction to 12-step model of recovery, AA/NA meetings, and access to fellowship. Relapse Prevention Identifying triggers and warning signs to prevent relapse. Life Skills Training Instilling long-term success, with vocational support and goal setting. Coping Skills Training Clients develop the adaptive skills necessary to respond to any situation without self-destructing. Family Therapy Proven model for improving family dynamics, healthy detachment, domestic stability, and wholeness. LGBTQ Friendly All are welcome regardless of sexuality and gender identification. After-Care & Alumni Accountability. Never alone; partner for life, new friends and sponsor. Outcome Measurement Client progress accountability through measured success and efficacy. Fitness Center Mind/Body/Spirit exertion, vitalization, endorphin release. Staff Chef Amino-balanced, individualized meal program. Experiential Therapy (PPO's) Indoor skydiving, rock climbing, and wolf therapy. Music/Art Therapy Introducing alternative coping methods, helping client experience and develop artistic skills. Meditation/Mindfulness Training Staying present, stilling your mind, becoming more adaptable under stress. Today, over 23.5 million Americans are addicted to substances including drugs and alcohol. These addictions go on to affect their lives, families, finances, and mental and physical health, but only 1 in 10 ever seeks out drug treatment or AA/NA. Drug addiction is a serious problem affecting the overall quality of life for both the addict and their friends and family. At the Lighthouse drug rehab in Orange County, CA., we want to make it as easy as possible to get drug addiction treatment, which is why we offer a range of substance abuse treatment programs, from detoxification to intensive residential psycho-therapeutic programs designed to address every aspect of addiction. While overcoming a substance use disorder or drug addiction can seem impossible and overwhelming, especially if you’ve tried and failed before, we are here to help. With professional staff, licensed therapists, an open and welcoming environment, and the ability to meet your specific needs to tackle the real causes of your addiction, we have everything you need to begin building a better life. Our inpatient and outpatient rehabilitation programs are located at our modern Orange County Campus. We know that addiction is multifaceted and often deeply integrated into behavior, trauma, and how we deal with emotions, and our addiction treatment reflects that. 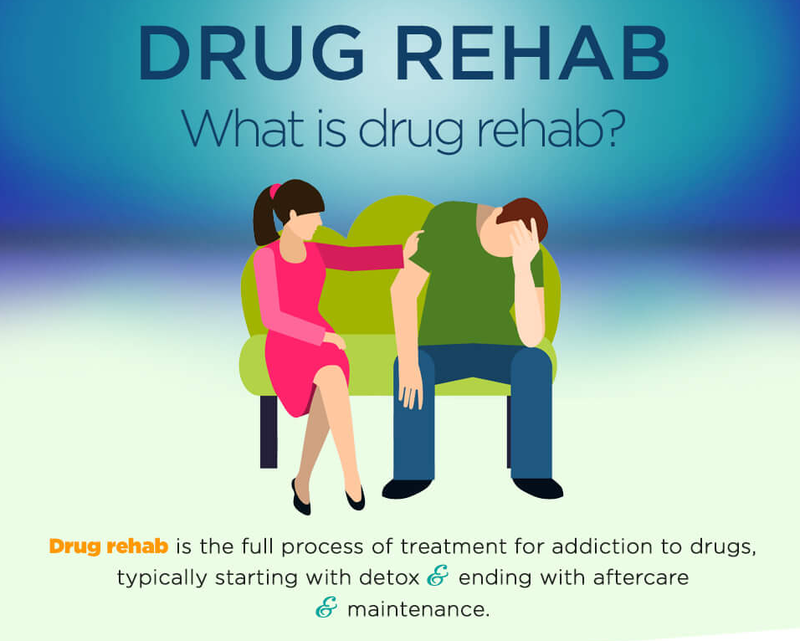 Drug rehab is the full process of treatment for addiction to drugs, typically starting with detox and ending with aftercare and maintenance. A drug addiction problem may also be referred to as a substance use disorder. The exact process may change dramatically depending on the rehab center you seek out, but at Lighthouse Treatment, we follow a simple science-based practice designed to offer patients the most care, support, and help. Our goals are to end current drug use, treat physical and psychiatric or psychological problems interfering with personal health and the ability to stay clean and sober, and seek to improve your overall physical, psychological, and spiritual health. This means that treatment for drug addiction at The Lighthouse involves detox, behavioral therapy, counseling, group therapy, learning, excellent food, and physical exercise. We maintain a comprehensive and effective staff, and our therapists and psychologists are fully licensed. What Are My Options For Help With Substance Abuse? Drug rehab, or rehabilitation, is almost always carried out in either an inpatient or outpatient setting. Both have pros and cons, and both can be effective depending on the circumstances and care received. Lighthouse Treatment offers both inpatient and outpatient programs, all situated at our Orange County Campus. 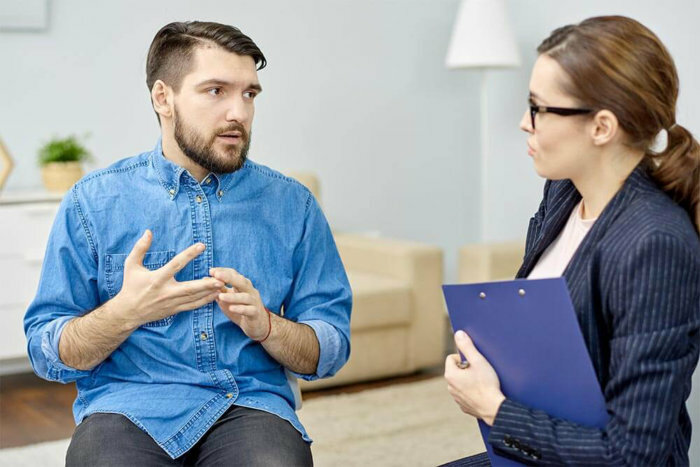 Outpatient – Outpatient drug treatment means that you receive treatment while staying in your own home, possibly going to work, and possibly taking care of family or other responsibilities. This option reduces costs by cutting your contact with staff to the bare minimum, typically involving daily or weekly meetings and treatment sessions. 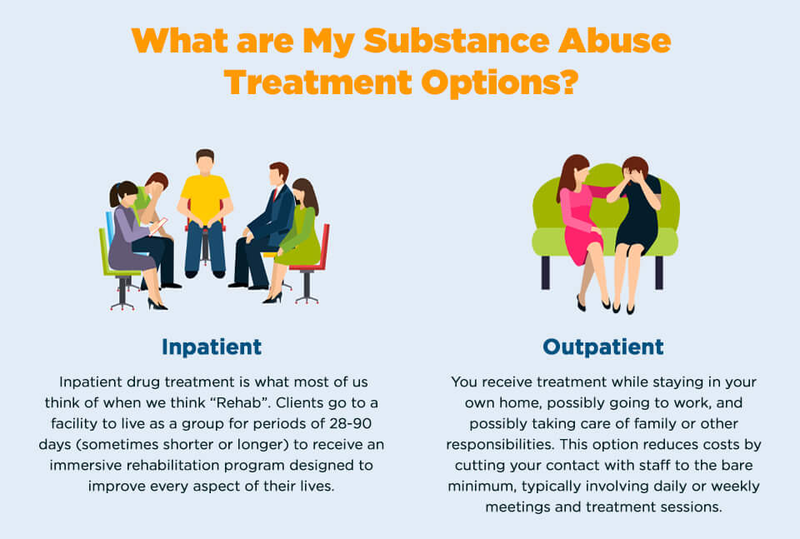 While effective, outpatient treatment requires more self control and personal motivation, and is best suited to individuals who are moderately rather than heavily addicted. Inpatient – Inpatient drug treatment is what most of us think of when we think “Rehab”. Clients go to a facility to live as a group for periods of 28-90 days (sometimes shorter or longer) to receive an immersive rehabilitation program designed to improve every aspect of their lives. This treatment includes exercise, days full of therapy, counseling, and learning, and does include support for family members who may have to overcome trauma and problems of their own. This method allows you to step away from responsibilities and stress and removes the temptation of readily available drugs, putting you in a safe environment to recover. What Specialty Treatment Modalities Do We Provide? Amidst our plethora of proven treatment modalities, which include 12-step models, clinical psychology, drug and alcohol counseling, and various therapies designed for addiction treatment and dual diagnosis – we offer several highly specialized treatment modalities that promise to enhance program effectiveness for all patients that come to Lighthouse. Cognitive Behavioral Therapy or CBT is an extremely common therapeutic model used to treat substance disorders, with a strong focus on treating underlying behavioral and emotional disorders. CBT works by modifying behaviors and thought patterns leading to both substance use and relapse, helping individuals to work their way through problems rather than using substances to cope with them. This makes CBT an ideal treatment for those with existing traumas or co-occurring disorders who can doubly benefit from treating underlying problems. DBT or Dialectical Behavioral Therapy is a type of cognitive behavioral therapy used in addiction treatment and emphasizing the psycho-social aspects of substance abuse. 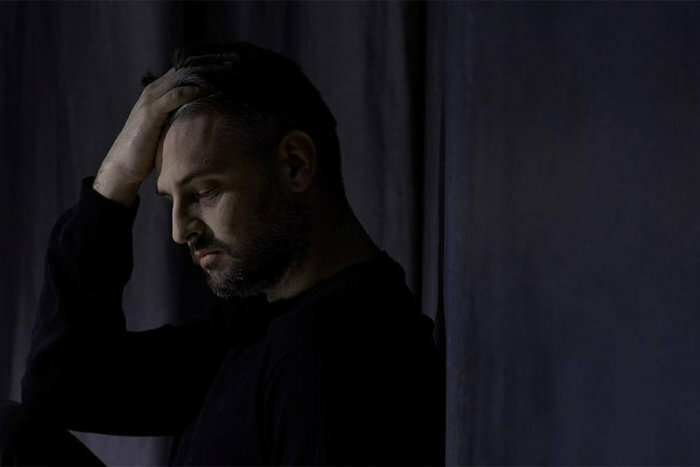 With a focus on helping addicts to cope with emotional and social issues stemming from and contributing to addiction, including triggers and negative emotional behavior and thought patterns, DBT is highly suitable for persons who are recovering from addiction as well as for those with deeper co-occurring problems relating to depression, anxiety, and trauma. The process normally involves intake, initial detoxification, therapy and counseling, education, and maintenance or aftercare. Each of these steps is important, although several of them will overlap. The first step of attending rehab is an intake assessment, where you will discuss condition, current drug use, current condition, physical and mental health, and willingness or motivation to recover. This information is sometimes combined with drug and other blood tests and will include several interviews and questionnaires. This information is used to determine the severity of your addiction or alcoholism and begin planning effective treatment that will work for you. Detox or detoxification is the process of controlling the withdrawal process so that you can get off the substance safely, but the process and duration will depend on the drug. In some cases, this involves tapering doses of medications like Lorazepam to prevent dangerous symptoms. At Lighthouse Treatment Center, we offer a completely customized detoxification program, which typically lasts for 3-10 days. In most cases, detox is social (without medication to reduce cravings). However, our full treatment staff are available to offer you the complete support and care to move you safely through the detox process. In most cases, detox will begin within a few hours of your last dose of the drug and will progressively worsen over the first four to seven days. In some cases, symptoms begin later and last up to two weeks. Your progress during detox is monitored by clinical professionals who determine the next best steps as you transition from detox. Drug addiction is multifaceted and often a symptom of underlying problems, resulting in a disorder of the brain. Inpatient addiction treatment is an important part of recovery and if you have the time and means to take it, it is greatly beneficial to your ability to stay clean. Counseling and behavioral therapy will help you to analyze and recognize your mental and emotional behavior and make positive changes, which will work to prevent a relapse. You will also receive individualized counseling, group counseling, and complementary holistic healing therapies such as exercise and meditation to improve physical and mental acuity. Education is a big part of recovery at Lighthouse Treatment Center in Orange County. Our clients attend lectures, learn together in groups, and work to learn more about substance use, relapse, and staying clean. When your stay in program comes to an end, we assist with aftercare planning to help you move back into your everyday life. This may involve direction to supportive services, help integrating into a halfway or sober living environment, or other assistance such as vocational support and training, depending on your needs. We offer an extensive aftercare program for this purpose, and provide help for you to move into sober living, along with ongoing therapy and support, and work with you to ensure that you integrate back into your life without returning to drug use. What Can I Expect in Drug Rehab? The treatment utilized for drug addiction varies a great deal depending on how long you’ve been using, what you were using, and your own physical and mental health. Most of the time, your doctor and psychologist will work with you to tackle the most pressing issues first, so that you can move forward and focus on recovery. While we create a program that will be personalized around what you were using, our approach focuses on treating the underlying causes behind your addiction and treating all of you, not just substance abuse. This means addressing all of your physical, emotional, and psychological problems to help you fully recover. Offering custom treatment with easy access to counselors and doctors, using behavioral therapy in combination with counseling and complementary therapies, addressing potential co-occurring disorders and traumas, and reviewing and updating the therapeutic program as you progress. We employ a variety of complementary treatment modalities. Behavioral therapy is an important and very common method of treating addiction, used in most science-based rehab centers. 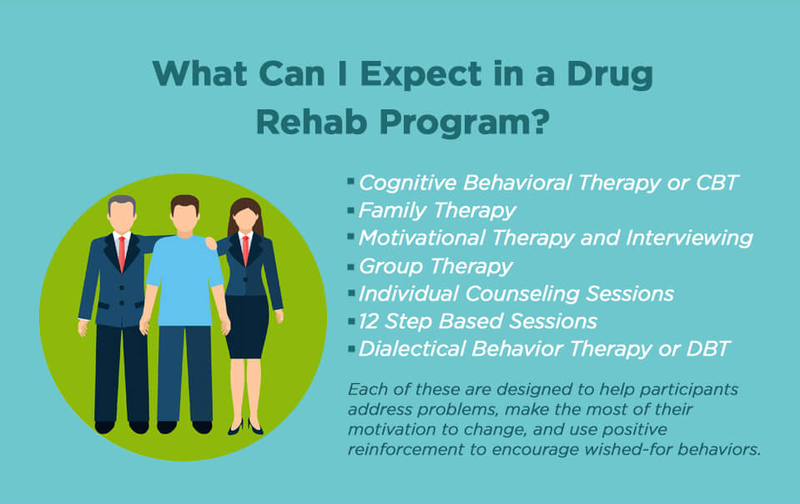 Behavioral therapy works to help patients recognize and change attitudes and behaviors surrounding drug use, increase life skills such as stress management, and increase motivation and persistence in following a treatment program. Each of these are designed to help participants address problems, make the most of their motivation to change, and use positive reinforcement to encourage wished-for behaviors. 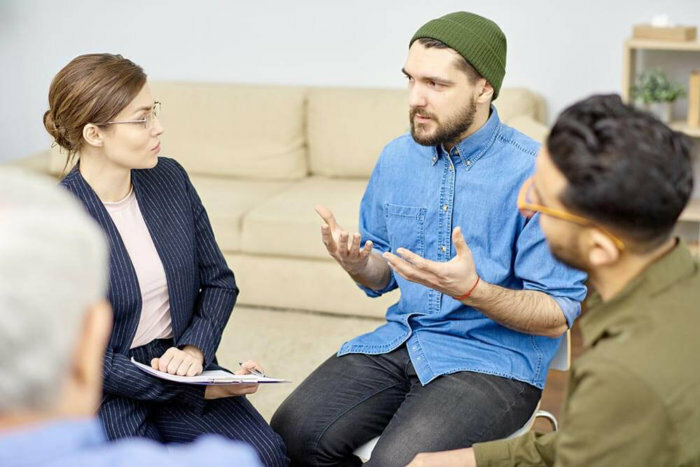 Group therapy and counseling are often used as supporting tools to give patients the opportunity to express themselves, get additional help, and discuss emotional and psychological problems in a way that can lead to resolution. This includes coping skills, emotional regulation, adaptive skills for unexpected life changes, managing cravings, and social support. For example, group therapy is often used to offer general behavioral counseling and motivation, while giving individuals the opportunity to express themselves and learn from their peers. Because social motivation is often a significant factor, group therapy like a 12-Step model of recovery can be beneficial in recovery. In some cases, you may have access to medication to reduce withdrawal symptoms and work to prevent relapse. Because Lighthouse Treatment Facility operates on a social recovery basis, you will not typically receive these medications at our facility. If you have special needs, it is important that you be able to receive the care and support you need to recover. That’s why Lighthouse Recovery Center in Orange County offers support for dual diagnosis, trauma, and gender-specific therapy. Cooccurring disorders such as PTSD, depression, and anxiety are extremely common and they can greatly complicate the recovery process. You need to work through the complex emotional and psychological issues presented by your disorder in order to reach a mental state where you can stay clean and sober. Our licensed medical team can help you with a complete assessment and treatment, so that you can recover. Will My Insurance Cover Rehab for Addiction? Costs are one of the most commonly cited reasons people don’t seek out care, but it’s highly possible that your insurance will pay a large portion of your drug treatment. 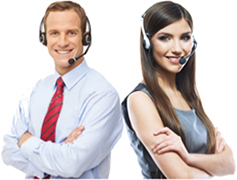 You can contact your insurance company to request more information regarding what they cover and how much. You can also use our free form to qualify your insurance to see if your insurance company and policy cover our services. How Long Does A Drug Addiction Treatment Program Last? Most drug rehab programs last 28-90 days, including detox which is typically 3-12 days. However, we also offer a much shorter, ambulatory detox program, which we suggest be followed up by outpatient care at home. Why 28 days? Most people need the time to heal, focus on their recovery, and to focus on learning the skills and behaviors that will allow them to go back to living a healthy life. In some cases, you may need to stay up to 90 days if you need additional care, therapy, and healing. Drug addiction can seem hopeless, but it doesn’t have to be. Most people never seek out treatment for reasons ranging from shame to delusion, to simply not realizing that insurance and medical law will protect you when you seek out treatment. More importantly, our program has proven to be essential to making a full recovery. Many people use drugs because of underlying problems such as an inability to cope with stress, trauma, mental disorder, or other problem. Getting help means treating those problems, so that you learn how to live a fulfilling life without substance abuse. At our rehab in Orange County, we understand that every person is unique, that you need individual care, and that you are much more than an addict. We offer personalized, empathetic care designed to make your recovery as comfortable as possible, so you can focus on learning, growing, and rebuilding your life into something you can be proud of. Contact Lighthouse Treatment Center today for help with selecting a drug rehab program for you or your loved one. We are happy to provide a no-cost, no-obligation consultation with one of our experienced advisors.